February 21, 2017 This post may contain affiliate links. Well, it used to. Now I spend around 1 – 2 hours a day in the kitchen preparing meals for my family, which isn’t bad considering it includes all meals – breakfast, lunch, dinner and snacks. But it wasn’t always like this. I used to spend hours and hours in the kitchen. What changed? I had to find that balance between homemade and store bought items. Some things I am happy to make myself, but others not so much. Once you make the decision to eat Real food, you can get a little obsessed. You want to stock up on every organic product around. You get up at 5.30am so you can get a good parking at the farmers market. You mark out the spot to start that organic vegetable patch you’ve always wanted. What’s better than watching your children eat homegrown, organic vegetables? That household cleaning stuff needs to go. All natural from now. In fact, you are going to make all of it yourself. From scratch. From three ingredients. Chickens. 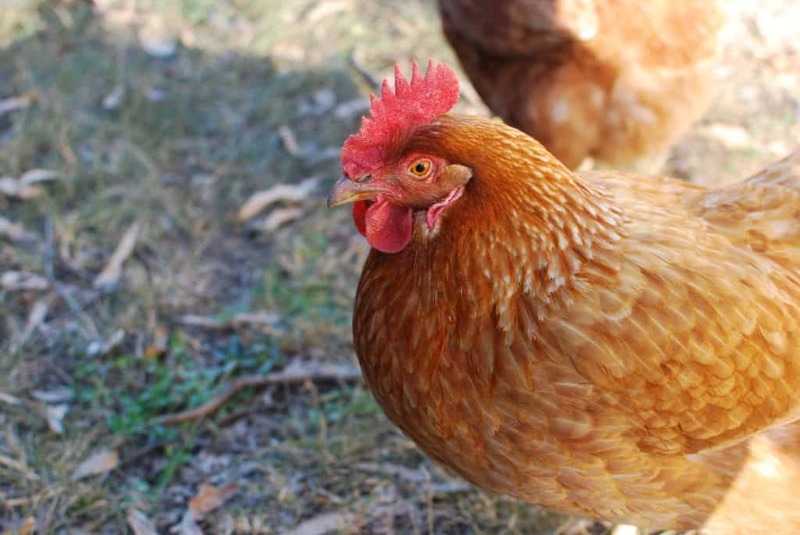 You need chickens for those fresh, free range eggs. The only question now, is can you raise a cow in your backyard without your neighbour complaining. Trying to do it all will lead to Real Food burnout! How do I know this? Because this is exactly what I experienced after my first year of Real food living. I loved so many of the things about our Clean living lifestyle – no more processed food, homemade everything, cooking with local food. Seriously, I was hooked. But, I was exhausted. All the time. What was meant to be good for our family was causing me to be tired and stressed out. If I stopped for a day, then there would be nothing to eat just a cupboard full of real food ingredients. I felt as if I was permanently running doing things that weren’t making me happy and frankly, no-one in my family even noticed. I was also getting a little obsessive ‘Sticking to the Rules’. It got to the point that when I bought something a little off my ‘Clean Eating Guidelines’ I felt guilty for not being “good enough.” I was wrapped up the idea that it had to be all or nothing. It’s very easy to get swept away with the idea of Natural living. There will always be more that you can do. Always. There will always be someone else doing it ‘better, living more “Greener”’. Don’t get caught up in this comparison game and think that what you are doing isn’t good enough. Remember, you are doing this for YOU and YOUR family. No-one else. Making small, doable changes for the long haul is what a practical, simplified real food lifestyle is all about. I studied Law at University and one of the concepts that we got introduced to was the “Reasonable Man (or woman) Test”. Yay! I finally got to use something I learned. What this very simply means is that even in Law there are situations where there isn’t a clear Right or Wrong answer. The Reasonable Person (We will go with one) test is used to help determine the correct action that should be taken. So, the question would have been something like, “What would a “Reasonable person” have done in this situation?”. Now I love this idea. It reminds me that life is often a little unclear. And despite all the rules that are thrown at us everyday, like: Eat this, not that, there are some grey areas that we need to decide on for ourselves. Once I understood this, really understood this, I stopped trying to be perfect and stopped making everything a Right/Wrong decision. I decided that I didn’t have to make everything from scratch (a Rule that I had placed on myself somewhere along the line) and developed a reasonable plan for deciding what to buy versus what to make. It’s okay to purchase some real food options and not make everything in your kitchen. I save time and often money by not making everything at home. And that means, our diet and lifestyle is not controlling me. Sometimes I even take a little break and get my husband to grab takeout on the way home. Question 1: Is there a good (or good enough) store-bought alternative? 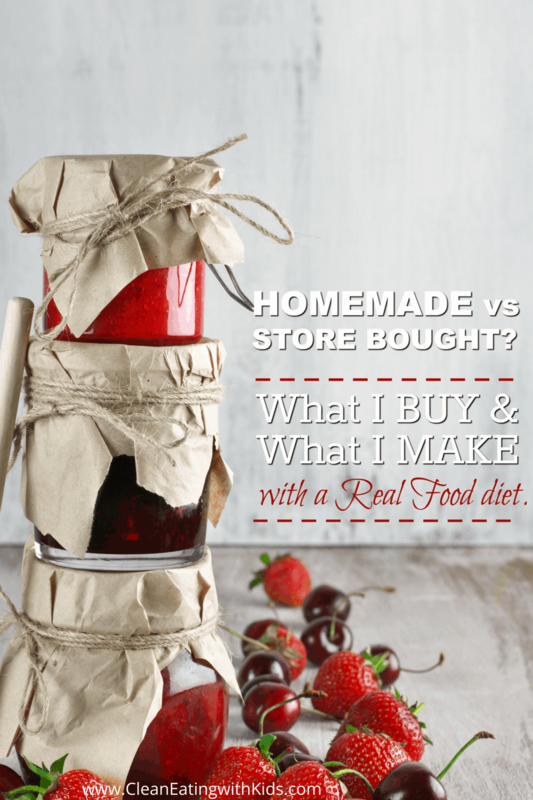 Consider whether or not a good store-bought alternative is available before you decide to make it at home. Just because it’s sold in the store, it doesn’t make it bad for us. This conspiracy concept that the Supermarkets are out to hurt us is rubbish. It’s just a business. Like most businesses, they want to sell what their customers are buying and they want to make a profit. Good or bad. It doesn’t make it right, it just is. However, the demand for good quality, organic foods is growing and Supermarkets are stocking more and more products made from real food ingredients by food producers who really care about the quality of food they are producing. My favorite example of this is Pasta sauce. Now, I used to make it from scratch every time. I had ruled out all packaged goods and had decided (without any investigation) that they weren’t ‘good enough’. One season tomatoes got a little expensive and I started using organic canned tomatoes. The pasta sauces sit right next to the canned tomatoes in my local store. One night I was running late … and I picked up a bottle and read the ingredients: organic tomatoes, herbs, garlic an onion. Hey. That’s exactly how I would have made it at home! There are so many store-bought alternatives that you can buy with relatively clean, real food ingredients. I’ve made a cheat sheet list of some of the other products we buy. [Scroll down to take a look]. Yes, it will take a little effort to read the labels and get your own list of what you are comfortable with. And depending on your area, budget, and food availability your list will vary from mine. Remember, you can change your list as and when you feel like it. You’ll notice that some things are on both sides of my list because sometimes, and not often, I just feel like making it. Question 2: Will I save money or time? 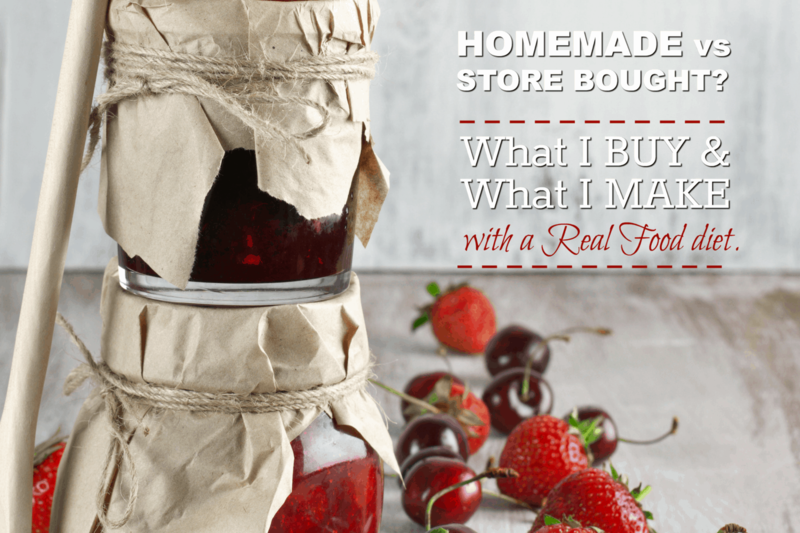 If both a quality store-bought product and homemade options are available, I look at the cost and time. If the store bought option is a little more expensive than the homemade one, I weigh up the time it would take to make it. I can’t really factor in time spent travelling to the store etc, as I’m going there anyway, so this is purely based on time in my kitchen. If it’s quick and easy to make – and makes a good batch that I can use more than once – then I will probably make it at home. But if it’s I can better use the time doing something else, then I will buy it ready made. Your time is precious and what you choose to do with it is important. I don’t want my decision to eat Real food take away from the time I spend with my family. That means, I have to get smart about it if I want it to work for us. Question 3: What’s the Feel-Good Factor? This is my grey area question. Sometimes you have a product which is more expensive to make at home, takes more time to make and yet you still make it or grow it at home. Why? Why? Why? Because it makes you feel good. Free range eggs are a perfect example of this. My chickens take up way more time and expense than simply buying free range eggs. They are messy, they are adventurous and they sometimes don’t even lay. Seriously. It just doesn’t add up. Except that the joy we get from collecting those eggs, snuggling those chickens and countless everyday experiences far outweigh the common sense. Here is the list below of products we Buy vs Make at home. This can change depending on recipes I try or products I find. I will try and keep it updated as I go. I do cook most of our food at home, but I don’t make everything I use. I buy a lot on my ingredients from either the store, local farmers or our farmers market. There are A LOT of great, wholesome companies out there, so if I find a good product, I’m more than happy to pay for something pre-made if I know it’s going to save me time. We can’t do it all, but we can slowly and consistently make natural lifestyle choices that suit our family and us.